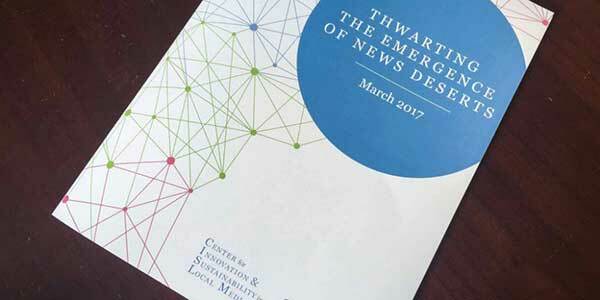 Thwarting the emergence of news deserts: An update to our Fall 2016 report on the emergence of news deserts. This collection of articles includes new analysis of U.S. newspaper ownership patterns, coverage of the 2016 elections by local newspapers and more. More information about this report can be found at www.NewspaperOwnership.com.